Pickle juice is booming! It is everywhere! 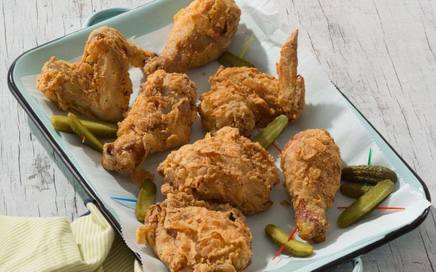 Popsicles, alcoholic beverages, and now your fried chicken! This recipe from Parade uses buttermilk and pickle juice brine - giving it a zip and tang, while ensuring the meat is moist and tender! !